A couple of Bloggy buddies Emily and Rose had posts recently with the theme of confessions.. Fun topic that leads to silly chatter... I thought it would be fun to get the ball rolling. Now it is your turn for a Runner Confession.. I have the most sweaty armpits ever... I actually use a perscription on the pits to keep it from ruining my shirts. Sick. I too have thighs that rub together, and always try to run in running shorts, and am quickly reminded why I don't. My confession.... I pee my pants in nearly every run. 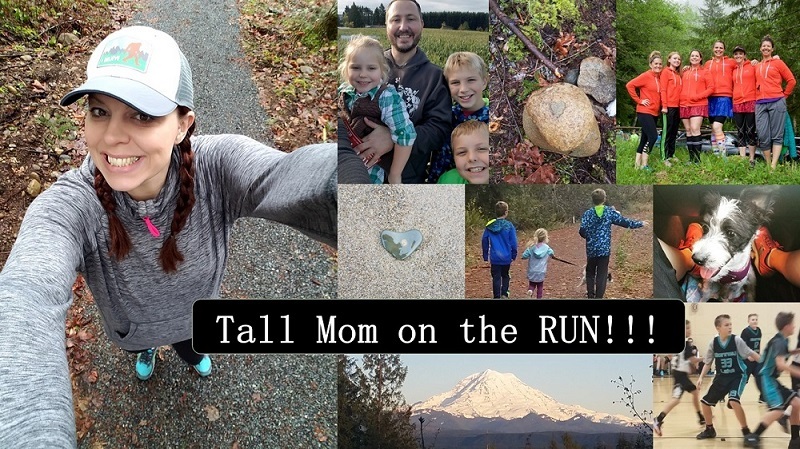 I know most running mommys do, but I do it almost every run. It's awful and super sucky/stinky. ha!I had a toenail fall of last week. I went for a pedicure recently and the lady said: "Why are your toenails black" my friend said:"Because she runs" the pedicure lady said"Well you need to stop that, or you'll never have pretty toenails"
My thighs rub together too..
My confession: I wear cotton socks I bought at Costco when I run. Great post, I may have to copy! Have a great weekend! I too am part of the pee while I run group. The only time I don't is when I'm at the gym and I sweat so bad on the treadmill. Haven't figured out how to keep it from happening yet, but if anyone finds out something let me know! I have to wear compression to keep the thighs from rubbing together. Sometimes I have to start and stop the treadmill like 8 times before I finally make myself run. My feet are disgusting and I dread flip flop season. Confession: Last nights run was "propeled" by PMS "fumes" -- you're welcome. My nose runs so bad when I run in the Nebraska cold/wind here that I'm always doing the farmers blow on my runs. My sports bras stink ever after I wash them...and adding fabric softener just gives them a sickening smell. I am the stinkiest runner on the planet. I am not sure why my sweat smells so bad but it does. My husband won't even come near me! I body glide my things like there is no tomorrow. I have the sweatiest shins known to woman-kind. I often plan my routes to include a net downhill...and as many bathroom stops as possible just in case. I CAN'T shower after lunch runs...baby wipes. I drink coffee before long runs to...um...flush everything out. Along the lines of sweat, I have the sweatiest face. Like dripping off. In particular my upper lip below my nose has got to be the sweatiest spot on me. Gross. Ditto on the thigh rubbing. After a training cycle of avoiding hills, I am trying to incorporate more into my current training. Every time I approach one though I curse. I spit when I run. My lips are a gooey mess after I run. I have to wipe them on my shirt cuz they have this gross film on them. I'm proud that I've perfected the farmer's blow and don't even care if cars can see me. I use fabric softener on my tech gear and I put it in the dryer on high. I have three kids and do way to much laundry as it is to worry about special care. hmm where do I begin. 1) I don't wear underwear when I run. It its spandex or something with a liner, underwear drive me nuts! 2) my second toe is obscenely longer than my big toe that it gets the brunt of the abuse from running. They are constantly bruised. 3) i look forward to my gu. 4) i just ended a week long streak without shaving my legs because it was still cold enough for tights. I'm normally a nice person, but I get really bitchy when I run and I curse a lot while running. I left my dirtiest confessions on Em's blog already - LOL! @Amanda only you!! ha ha ha!! Mel, you are too funny! Love it. My toenails are officially distance toenails---or forms of a nail, mis-shapen ugliness! Confession: blow my nose into my gloves or hands b/c it bothers me so much more when I run--I am still working on perfecting the snot shot on the run!! i wear spandex when i'm running on the weekend and during the day. so that i can look good for the people out and about. oh how vain am i?! Only two toenails? I'm impressed. There is no hope left for pretty feet and me. There is nothing wrong with spandex. Polyester, though? That's bad! he he - runner confession ~ when it's my turn to create the run route, I always make sure it has LOTS of hills. - I let my dog lick the sweat off my shins when I come home. It's his favorite thing. My thighs rub so much I can't wear running skirts, because the shorts on them are too short. Boo. the arm pit one made me laugh!! i wait to shower after my wknd long runs. it's so gross but i like to shower right before i go out for the night! This is so cool because I was thinking that I was one of the only runners who had trouble with chaffing thighs. Thanks for making me feel better! Ditto on the thigh's rubbing, gotta love spandex!!! I'm in the beginning stage of trying to get my blisters to turn into calluses. ~ Getting the snot shot down. .
~ Finally figured out the "No Underwear While Running" after emailing Mel. ~ Experienced how hard (and miserable) it is to run while squeezing your cheeks hoping not to get the Hershey Squirts! My favorite confession is that your legs rub together while running. I don't wear shorts either, ever not running shorts not any shorts. While my legs are strong from running I just don't feel the need to draw attention to my inner thighs. I too wear spandex... no comment! My thighs, my arms, everything rubs against each other... no shorts for me... I'd end up with a "thong" kind of running gear, LOL! Have a great day you wonderful ladies! Is there a connection between weight and rubbing thighs? I do have some weight to lose, but it seems that a lot of people have rubbing thighs that are at a healthy weight.